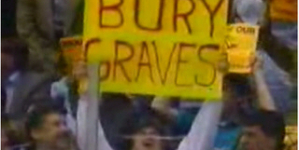 Has it really been 14 years since the Penguins drafted Marc-Andre Fleury? It doesn’t seem like it, but at the same time it seems like so much longer. That’s because so much has happened since then. Personally, I went from being a guy who sat in section E28, row E, seats 14 and 15 at the Civic Arena to one who just finished his 11th year covering the team in a number of different capacities. I got to follow the first couple seasons of Fleury from that perch, before moving to a seat on press row. The team went through plenty as well. There was a lot of losing, lots of winning, and three Stanley Cups. Sidney Crosby and Evgeni Malkin arrived. So did Jordan Staal and plenty of other important pieces, but Fleury was always the first. He was the original impact piece that formed the foundation of what would become a championship model in Pittsburgh. I’ll never forget the day, June 21, 2003. I was still three years away from covering my first hockey game as a fledgling media member but I was rabid for information like so many die-hard hockey fans were at the time. We all spent the lead up to the draft wondering if the Penguins, who were slated to pick third, would use that pick on Eric Staal or Nathan Horton. Each of those forwards had huge upside and it seemed that most in the city were pulling for Staal. I jumped on the Internet – yes, it was there, but not like it is today – and saw the news. General Manager Craig Patrick sent Mikael Samuelsson, one of the many random pieces acquired when Alexei Kovalev was sent to the New York Rangers in February of that year, the number three overall and the number 55 to the Florida Panthers in exchange for the number one. Patrick didn’t make it much of a secret – he planned to use that pick on Fleury. The top rated goaltender in the draft would be the block upon which he’d kick off his rebuild. That is where it all began. Sadly the end came 14 years to the day later as Fleury took the stage at the NHL Awards in Las Vegas as a member of the Golden Knights. The jersey changed, but the smile that was there in 2003 remained. It might have been slightly forced at times, but it was there and it will remain. That is what he does. The guy makes the best of every situation. It doesn’t matter if that’s losing his job following an injury or leaving the only port he’s ever called home in the NHL. He takes it with a smile and does what he does to make it easier on everyone else. There isn’t much I can say about Fleury that hasn’t already been said. We all know he’s a tremendous human being, a great teammate and as selfless as an individual can be. Fleury is the kind of guy that we all aspire to be. He is funny. He is kind and he’s the kind of person that makes you feel important when he speaks to you. That doesn’t matter if it’s one-on-one or in a crowd, his focus is on you when you’re talking. Rather than hit you with a lot of the same things you’ve seen and heard countless other places, including above, I figured I would share some of my own memories. In those days no one was at Penguins’ training camp. Sure some fans showed up at Southpointe to take in the action, but it was nothing like it is today. You could get a parking spot right outside the door of the facility and you could walk right in and sit wherever on the bleacher seats. We did just that during the opening days of Fleury’s first camp, which you might remember being referred to as Camp Edzo. Eddie Olczyk, who was working as the color man on Penguins’ television broadcasts, had just gone from the booth to the bench. The rookie coach was barking out commands during a drill when we walked in, but Fleury wasn’t on the ice. We took up residence towards the left side of the bleachers and waited for our first look at Fleury. Little did we know that that sighting wouldn’t come on the ice. A skinny teenager in a loose fitting t-shirt, jeans, backwards hat and flip flops appeared to our left. At first we didn’t even pay any attention to him, but we quickly realized it was newly drafted goaltender. He casually walked up into the bleachers and sat roughly five feet away from where we were. We sort of acknowledged him with a nod, but didn’t bother him. He just sat there among a couple of other people who didn’t seem to recognize that a future three-time Stanley Cup winner was in their midst. It was the first time I remember thinking that he was just a regular guy. Those suspicions were confirmed 10-fold during my time covering the team. There was concern that the two sides wouldn’t be able to come to terms on a deal, but Fleury signed his entry-level contract on Monday October 6. That opened the door for him to make his NHL debut on Friday of that week against the Los Angeles Kings. I knew that would be a special game and I decided to invite my dad. Anyone who knows me or who has followed my work over the years, knows that my dad is a big reason why I even started following hockey. They probably also know that our relationship wasn’t always the best. This would be a great opportunity to spend some quality time watching the young flower bloom for the first time and I was exactly right. We got to see, hear and participate in the first ever Fleu-ry chants in Pittsburgh as part of a standing room only crowd of 16,986. He earned those cheers and chants by stopping 46-of-48 shots, including a save on an Esa Pirnes penalty shot. What’s kind of crazy is that he allowed a goal to Eric Belanger on the first shot that he faced. That initial goal didn’t matter. My dad was absolutely blown away by the gold pads and the athleticism of Fleury. He’d comment after almost every say about how fast the youngster was and how smoothly he’d manage to get from post-to-post. It would be the last game that I’d ever attend with my dad, who passed away on December 1, 2007. Fleury didn’t win the game, but he gave us something even better – hope. Fleury picked up his first win eight days after his debut in the league. Fitting that it would come against the Detroit Red Wings, who he would beat for his first Stanley Cup six years later. The Penguins battled back from a 3-1 deficit midway through the second period and Fleury did his part making 31 saves. It was the first of 375 wins (and counting) and it was awesome. After his first win, the Penguins went 0-2-2, but he’d come through with his first career shutout to get them back on the winning side a day before Halloween. I vividly remember watching the game against the Blackhawks in Chicago and being on the edge of my seat. Konstantin Koltsov scored his first NHL goal and Fleury made 20 saves, many of which were spectacular. Fleury’s teammates mobbed him following the game. For some reason I found myself being a guy who would ask Fleury about empty net goal attempts on multiple occasions. You know that he was and is dying to score one, so he’d almost always take a look at shooting for one when the team would be up by two with an empty net on the other side. I can’t tell you how many times he’d let a shot fly only to have it knocked down by a tall defender or land and go wide. Those moments where a player would knock it down were the best, but the sound post game would almost always have to be edited. Fleury was famous for dropping an expletive or two while describing the emotions in those moments. He’d drop his colorful word and immediately apologize saying, “oh, I’m sorry” through grin and many laughs from the gathered media. I was in a big scrum with Fleury and countless other media folks in the lounge area outside of the Penguins’ locker room at the Civic Arena. The team had just lost a game on home ice, but was set to meet the Boston Bruins and Philadelphia Flyers in their next two. For some reason I skipped the Bruins game in my head and asked Fleury if it was good thing to be able to come right back against their division rival Flyers. The emotions of that game would help leave the bitter taste of the loss behind and get them back on track. Fleury chuckled when I asked the question and said, “I think we’re playing the Bruin next, no?” before answering the question as if I hadn’t completely bungled the question. That’s just want he did and still does. Moments like that are the norm. He might have some fun with you, but he’ll always smooth it right out. Two playoff saves on Alex Ovechkin – 2009 and 2017. Throwing himself through Nicklas Lidstrom’s shot to secure the 2009 Stanley Cup. The 2008 Stanley Cup Playoffs – Fleury was one of the best players on the ice from the start through the end of Game 6. Always doing what was best for the team. How hard he’d take losses. It didn’t matter if they were in October, December or June. He hates losing. I could go on and on here, but I decided to share some of those early moments since they were pure. They were from a time when I could just kick back and appreciate the impact of this kid who essentially came here as a wide-eyed kid and helped get them on a path for long term success. I am honored that I got the chance to watch him as a fan, cover him professionally and to see him grow from a teenager into the man he’s become today. I got to thank him for all that’s done here in town during the team’s final media availability last week. I shook his hand and he smiled. I’ll treasure that moment. Thank you Flower for all that you’ve done for the city and the franchise. You’ll always be a Penguin, but for the short time that you’re a Golden Knight, they’ll have one of the finest men in the league.